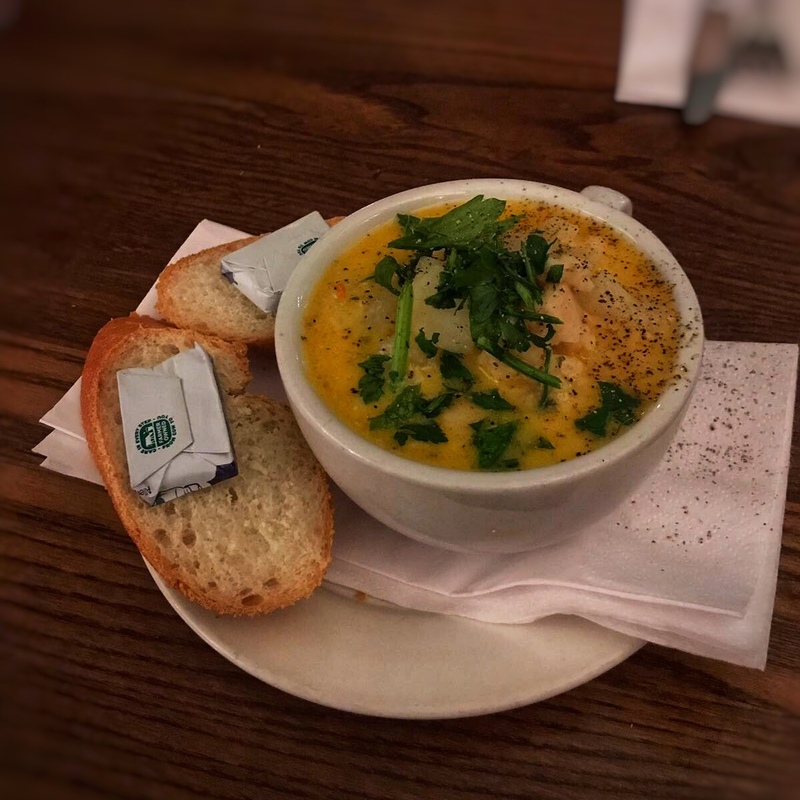 Abarcrombys is a family run authentic Scottish food bar and bistro serving up some great food. You’ll be greeted by friendly and chatty staff and I was lucky enough to chat away to the chef and her son who do the cooking and baking in this great little spot. The first thing that struck me about Abarcrombys was the decor and it’s inviting warmth. You could easily walk by in your daily rush and not notice it right next to the subway and across the road from Bag O Nails. If you have then next time take a look, the interior is nice and welcoming with comfortable seating and the exposed brick wall really does look great! So now you’re probably thinking that you’ve clicked into an interior design blog, you haven’t! I’m still all about the food here at Chris Eats so lets crack on to the good stuff. 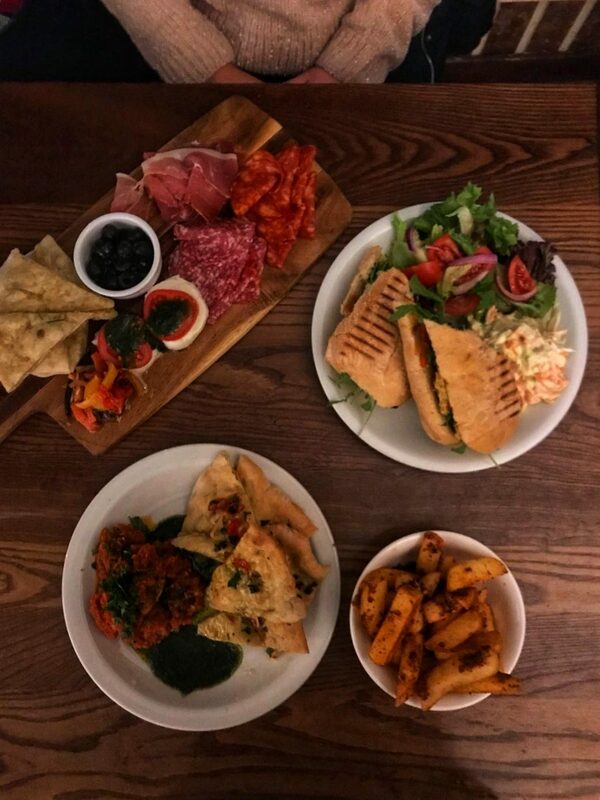 I hope it’s not rude to say but the food at Abarcrombys took me by surprise, I was surprised at how good it was and couldn’t help but wonder why I hadn’t heard of it before! Everything is cooked fresh daily to and you can really tell when you’re eating it how fresh the ingredients are! Now I don’t know why it’s taken me so long but until this visit to Abarcrombys I’d never tried cullen skink before. When we were told it was on the specials I mentioned this to the guys and they brought me out a little bowl to try which I thought was a nice touch. Now I know to some smoked haddock soup may not sound appealing, my girlfriend included, but I thought it was delicious. It was just what I needed on a freezing cold night to warm me up. I could definitely see me having this again either as a starter with dinner or just on a cold day as a nice tasty pick me up! The soup itself was served with crusty bread and butter which is always going to win bonus points with me. 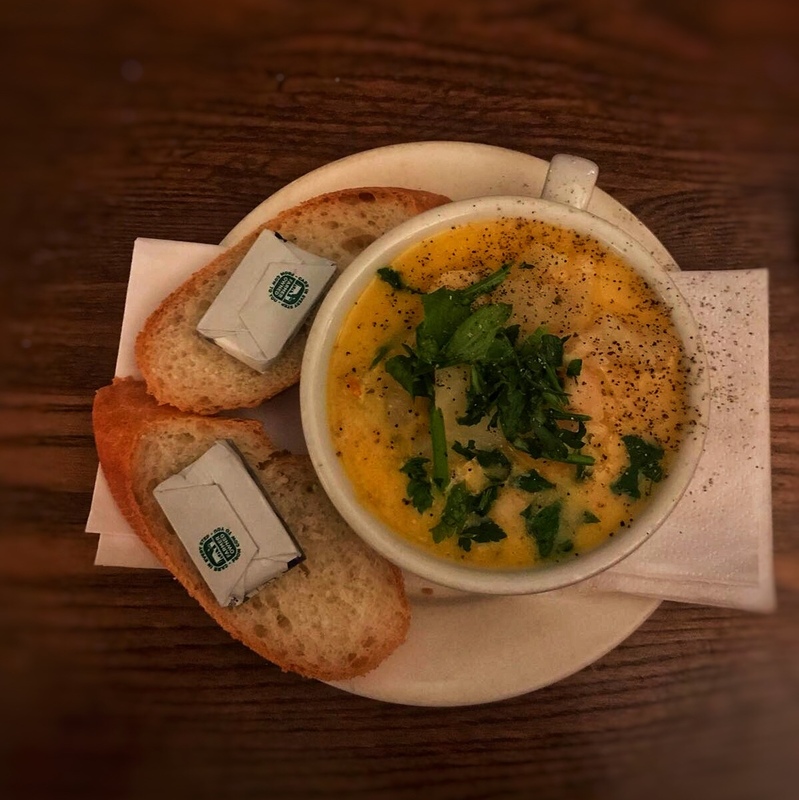 Bread and butter was made to be dipped into piping hot soup! 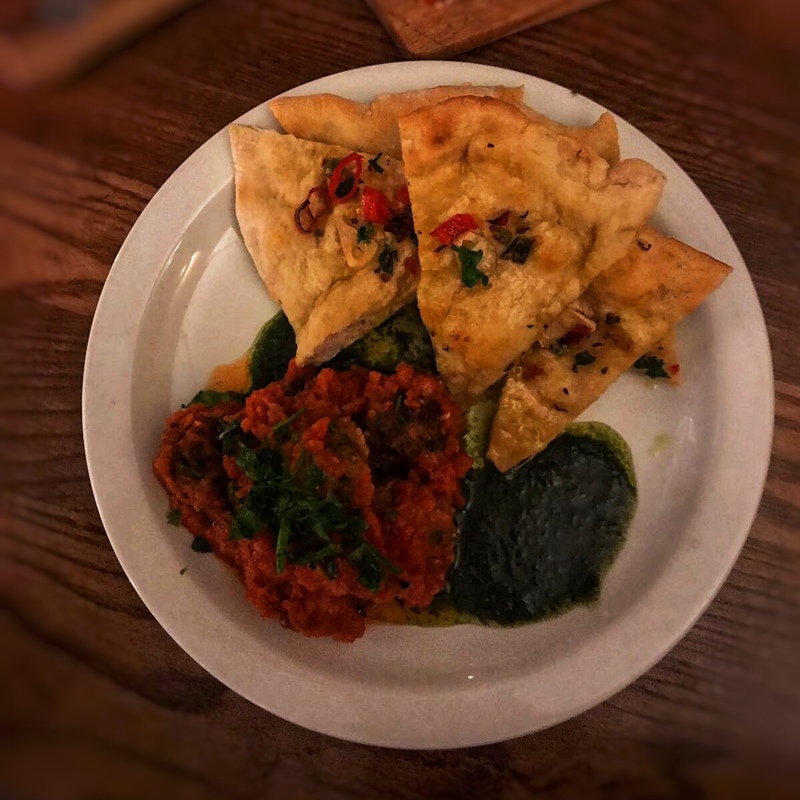 Often when I go to a new place with the little lady we like to order a lot of food and try different parts of the menu to get a feel for the place; this visit to Abarcrombys was no different. 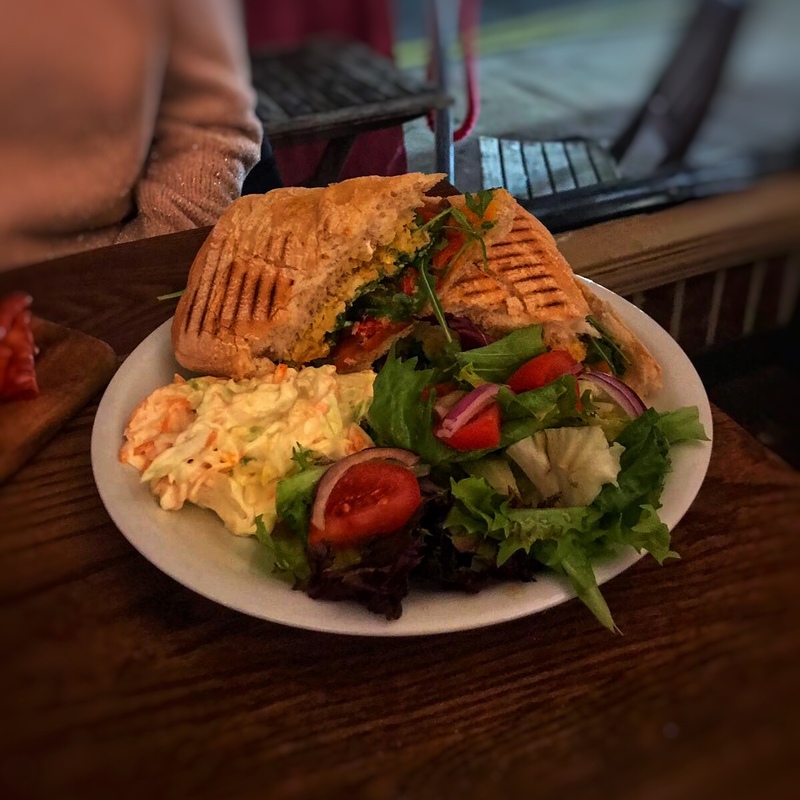 As it’s a bistro and open during the day I was keen to try one of the paninis they offer and while there was plenty of meat filled ones on offer I opted for a veggie option. Abarcrombys are known for being veggie and vegan friendly and one of my new years resolutions this year is to try more veggie and vegan food so where better to start right? 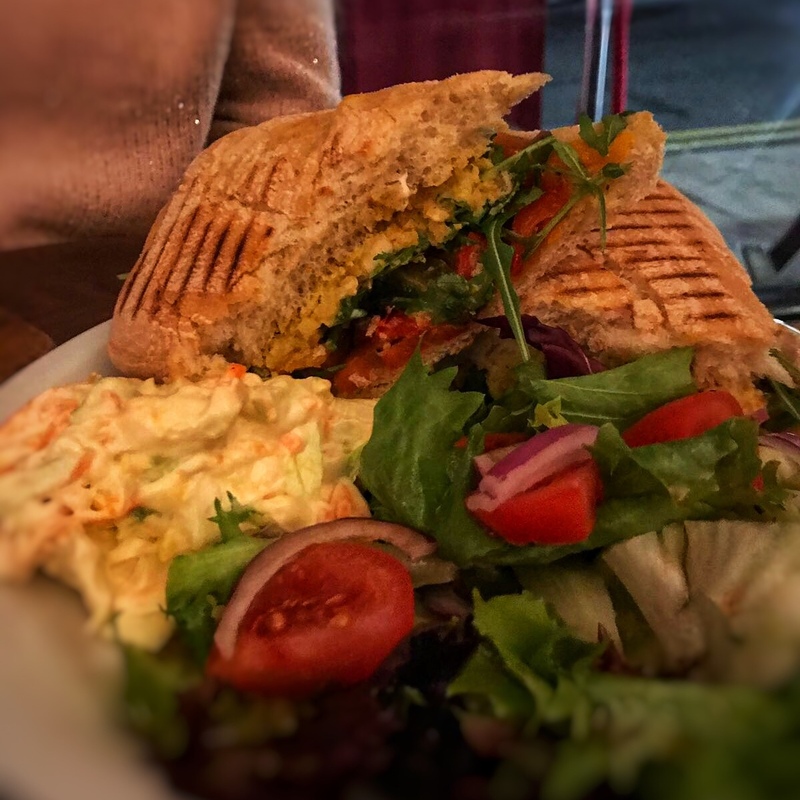 The panini we opted for was hummous, rocket and roasted red peppers and it was delicious. The hummous was nice and creamy and so far removed from anything I’ve bought in a supermarket previously that I was taken aback by the flavour. The coleslaw served alongside was so fresh and tasty as well. Definitely one I’d recommend. 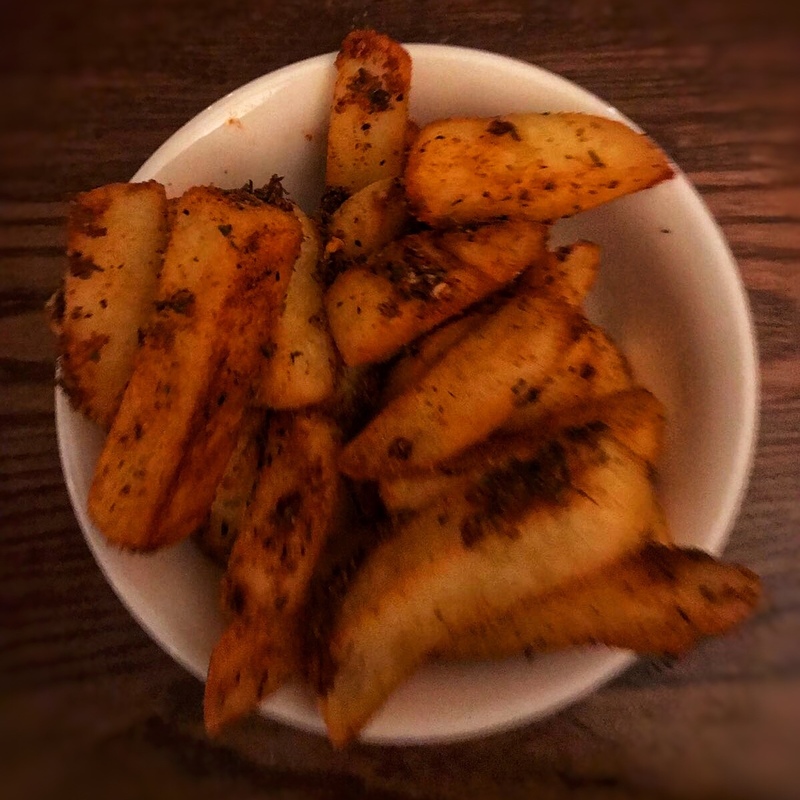 Now it wouldn’t be a Chris Eats review without chips being featured on the table. I’ll admit that no matter how healthy or adventurous I try to be I just can’t resist the lure of the humble chip. That said, if it has the word spicy next to it then all the better. Again the seasoning for the chips was made in house and is a closely guarded secret much like the Colonels is for his chicken. The chips were great, solid effort all round. Chunky and coated in loads of seasoning they were packed with flavour and delicious. 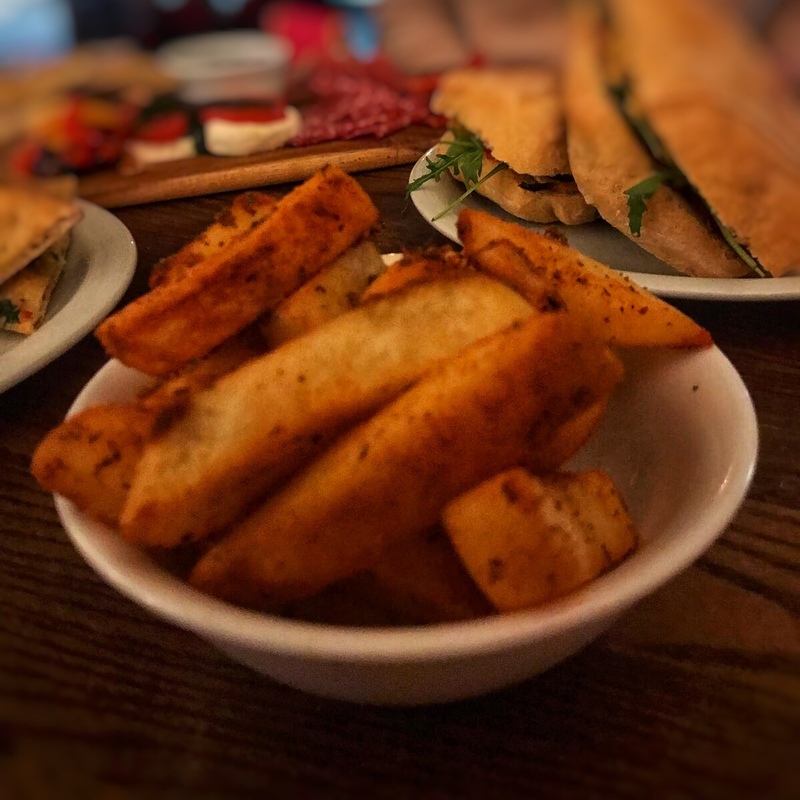 If I had any complaint about the chips it was probably that they ran out but considering the sheer volume of food we ordered a second plate would have been beyond greed! 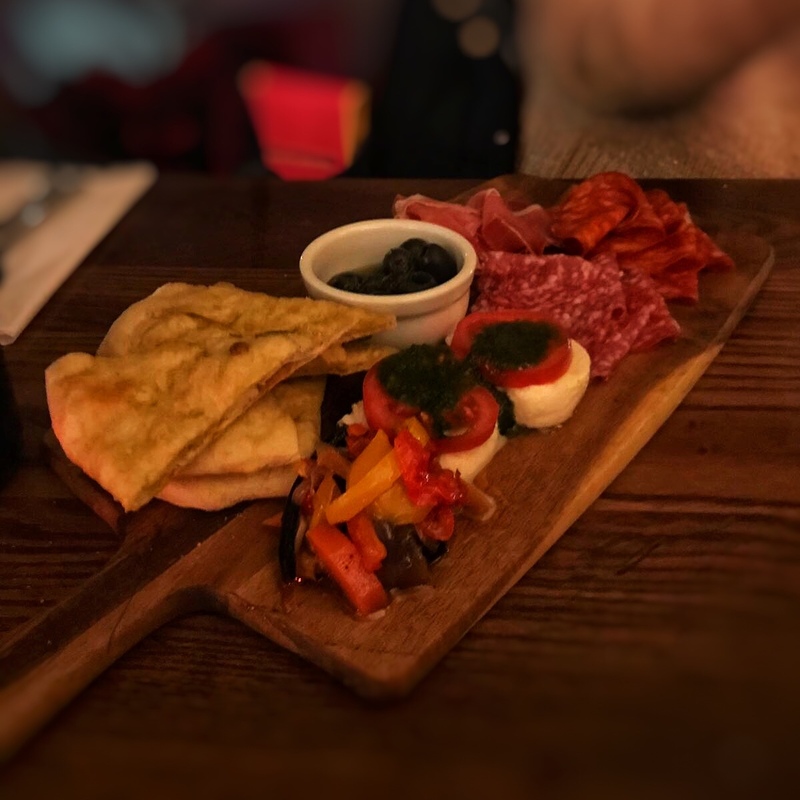 Next up was the meat platter, there were two options and we opted for the Italian platter which was a selection of cured meats, buffalo mozarella with homemade pesto, olives, roasted peppers and homemade focaccia. They’re also happy for you to mix and match if there’s items on one platter you’d like with the other which again is a nice touch. Now I know a meat platter isn’t exactly the hardest thing to make but there is a certain art to choosing flavours and textures that compliment each other and Abarcrombys nailed it with this one. The homemade pesto was pretty spot on and the focaccia was excellent as well. 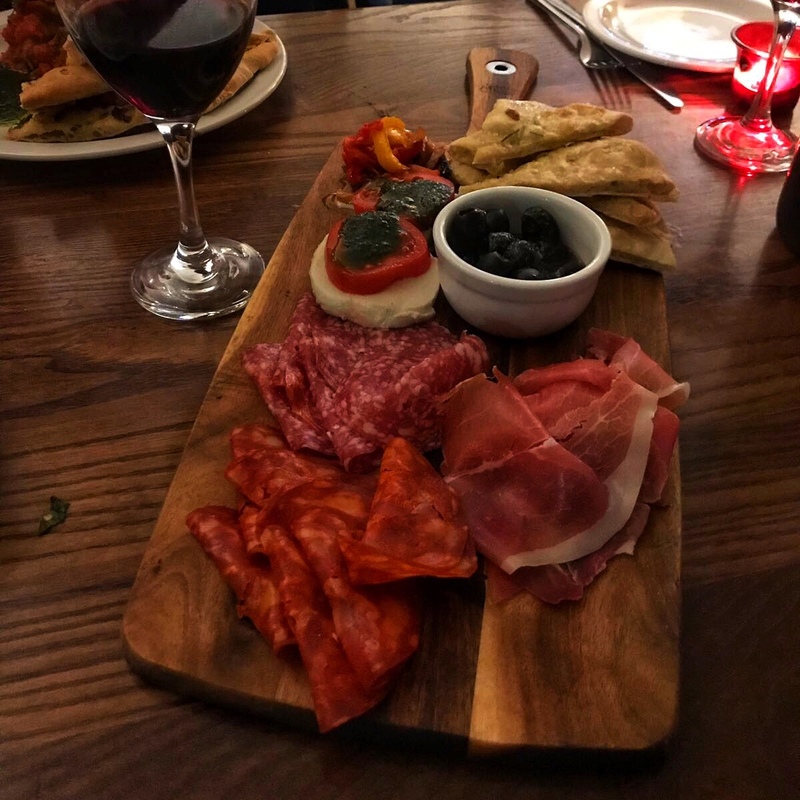 As for the meats and cheese well they’re always going to be good but the little touches with the olives and roasted peppers just enhanced it. Definitely recommending getting a platter on your visit! Now I’ve kept this meatball dish to the end of the dinner as I think it best epitomises my visit to Abarcrombys and the surprise factor I mentioned earlier. When I was ordering, the dish I asked for had actually ran out so in a bit of a panic I ordered the meatballs even though it’s not something I’d usually order. I’m not a huge fan of tomato based sauces and I don’t eat meatballs all that often. This may have been the star of the show. 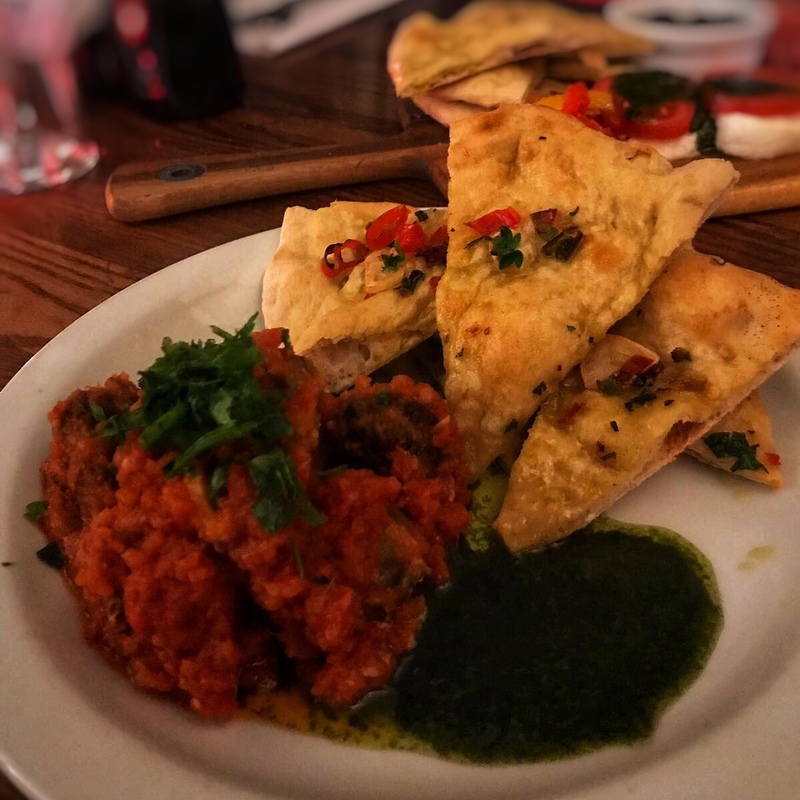 It was served with a chilli focaccia which was even better than the previous one with the meatboard (it was spicy) and more of the homemade pesto I mentioned earlier. But the meatballs and sauce were far beyond what I was expecting. The sauce was chunky and had a bit of a bite to it, nothing like the watery tomato sauces that spring to my mind when I read them on a menu. And the meatballs were tremendous, they were juicy on the inside but had a nice bit of char on the outside, the way they should be in my book. After all that food we were presented with the dessert menu and even though we should have said no we opted for the lemon cheesecake and the jaffa cake brownie. The argument could be made that our eyes were bigger than our bellies but this would be wrong as we finished it all. 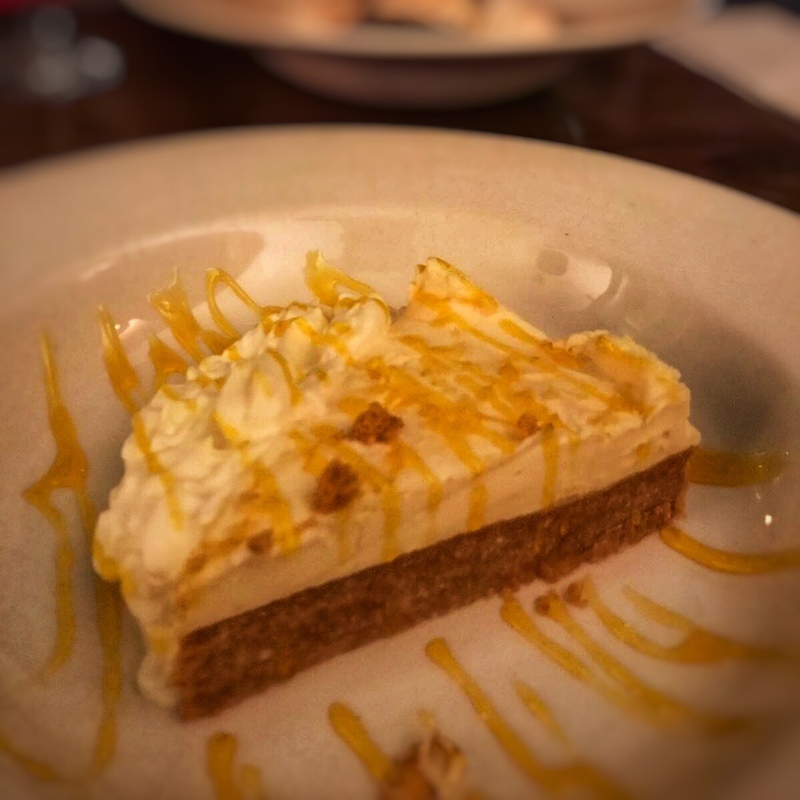 I love cheesecake these days and really enjoyed this one, the base was a bit thicker than normal but it was a delicious base so no qualms there. 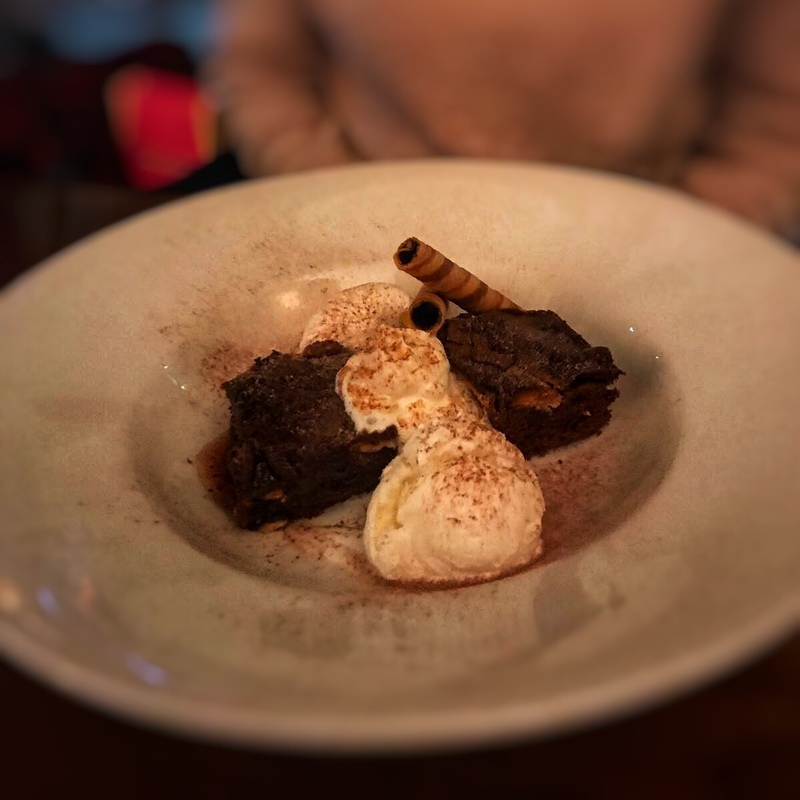 I’m not a massive brownie fan, I’m weird I know, but the little lady loves them and also has a mild to severe addiction to jaffa cakes so this was the prefect dessert for her. After she raved about it I had a bite and I must say, for someone who doesn’t like brownies I thought it was pretty good! I’d recommend checking out Abarcrombys, the food was good and there was a steady stream of regulars passing through while we were their which is always a good sign to me!